If diamonds are a girl's best friend, then this is a timepiece that will never leave your side. The Ladymatic Pearls and Diamonds is an incredibly striking watch, with every inch of it exuding charm and luxury. The case is made from 18K Canopus™ white gold with its bezel snow-paved with diamonds and its polished screw-in crown set with a "Brilliant OMEGA Cut" diamond. The white pearled mother-of-pearl dial features 12 diamonds and the polished alpha-shaped hands are in 18K white gold. And most strikingly, the 18K Canopus™ white gold jewellery bracelet is composed of "pearls", either plain polished, or set with diamonds or white Akoya pearls. The case attachment and length adjustment links are diamond-set in a wavy pattern. 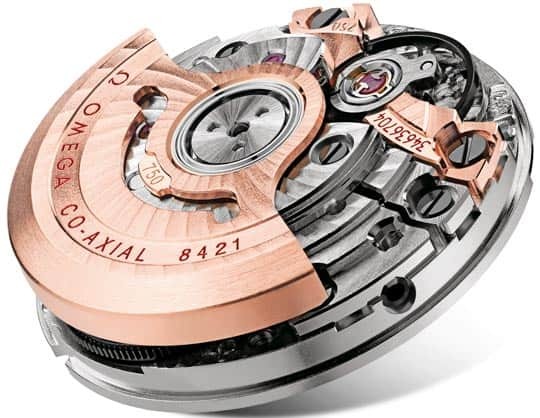 Finally, the transparent caseback makes it possible to view the OMEGA Co-Axial calibre 8421 movement within.